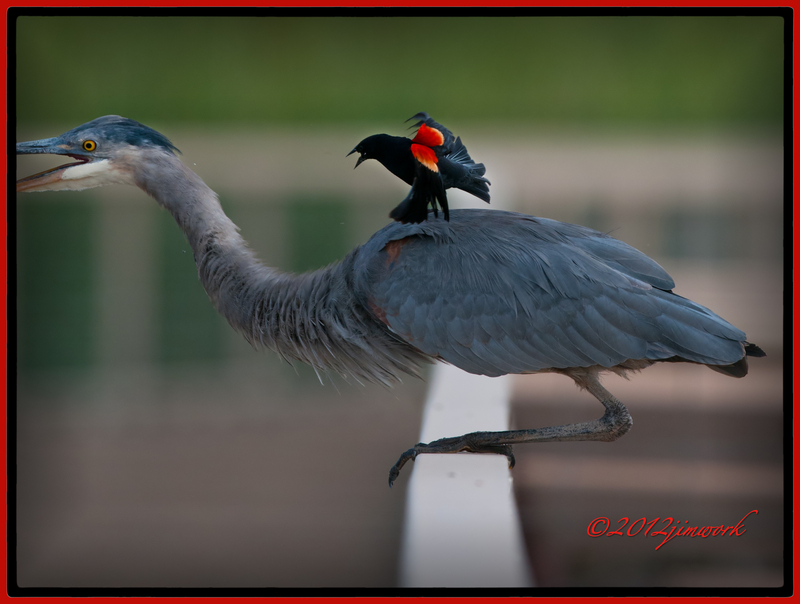 I can relate to this Great Blue Heron having a pest on his back. At least he can see what is bothering him. I keep hauling the weight of things that I can not even see. Yet they feel very real, even if I can’t put my eyes on them or not quite identify them. What an unusual photo. You got lucky there.